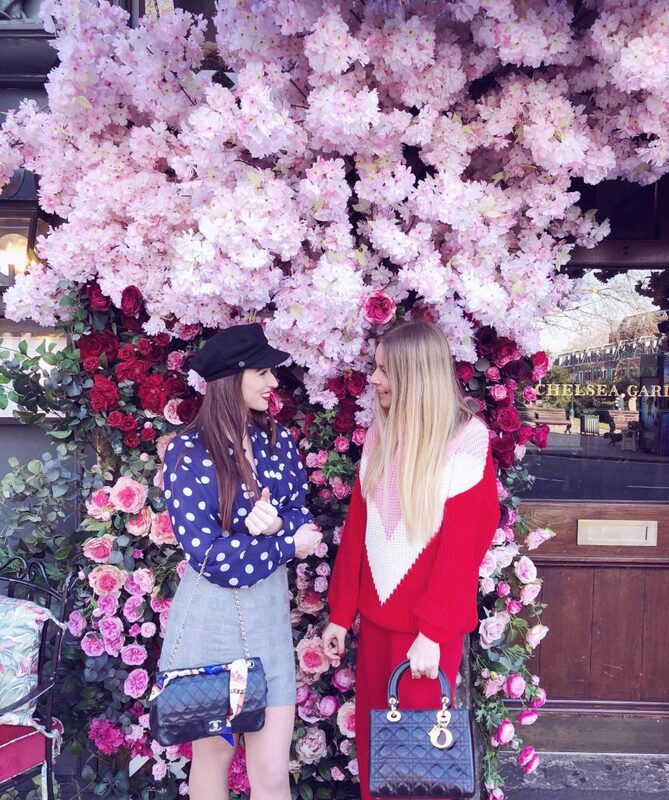 Here it is – the new trend that has just emerged and taken London’s Influencer scene by storm. 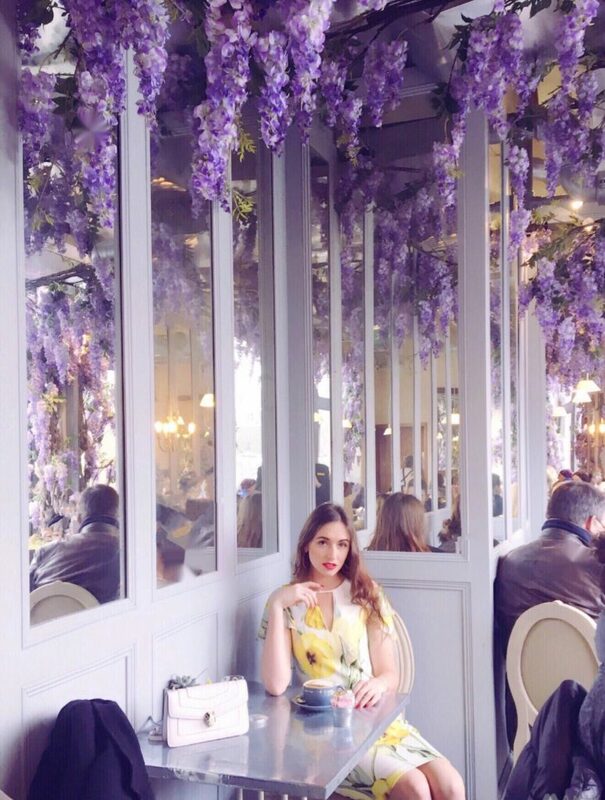 Floral Café Trend. Last year it was the beetroot coffee with any kind of pretty pink cake, but in 2018 it is all about the interior and exterior. It the Instagram picture that counts these days – let’s face it! Delicious pastries are a plus. 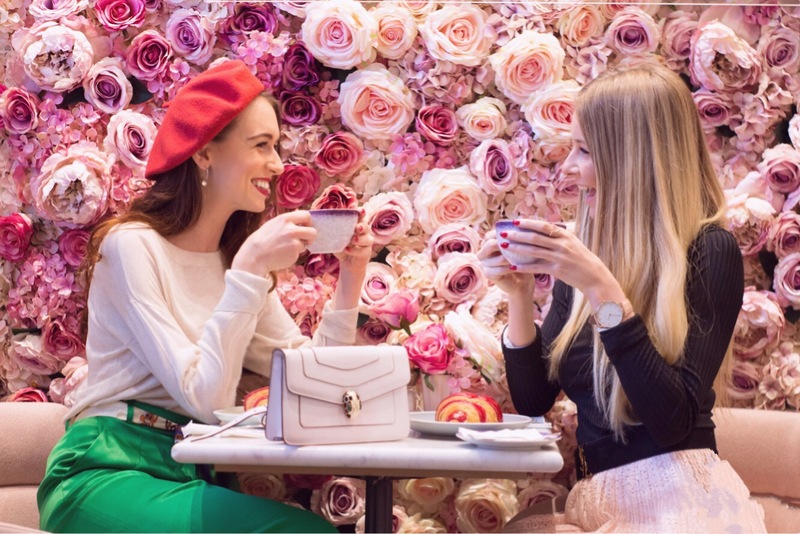 Elan Café is a real Instagram star st the moment. There are two Elan – in Kensington and Park Lane. I have only been to the one in Kensington and it was lovely. We went there on Friday morning and did not have any troubles with the queue and the long wait. 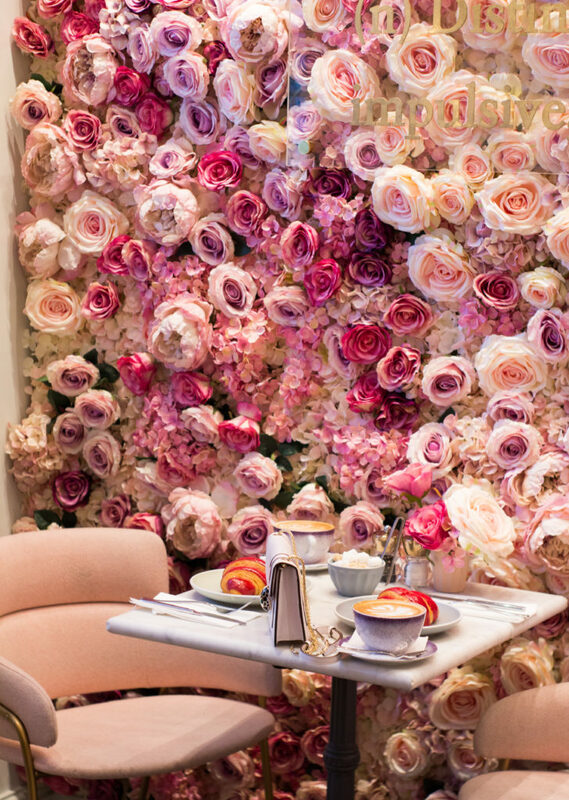 Apart from the floral wall, they are known for their delicious pastries. There were the whole variety of choices, but we went for the rasberry croissant. I really recommend this place for a little ‘me time’ during the week. Aubaine Café is located on the 2nd floor, just ‘behind’ the Shoe Gallery – strategic place, huh? It is not as crowded as the majority of cafés in central, but going there on weekend might not be the best option – unless you just want to have some rest after shopping. The wisteria looks magical, although it is an artificial one. It does look like you are in a hidden winter garden. The pastries and coffee are fresh and delicious, too. The Ivy Chelsea Garden is a restaurant inside an Edwardian house disguised as a Tudor house on the King’s Road. 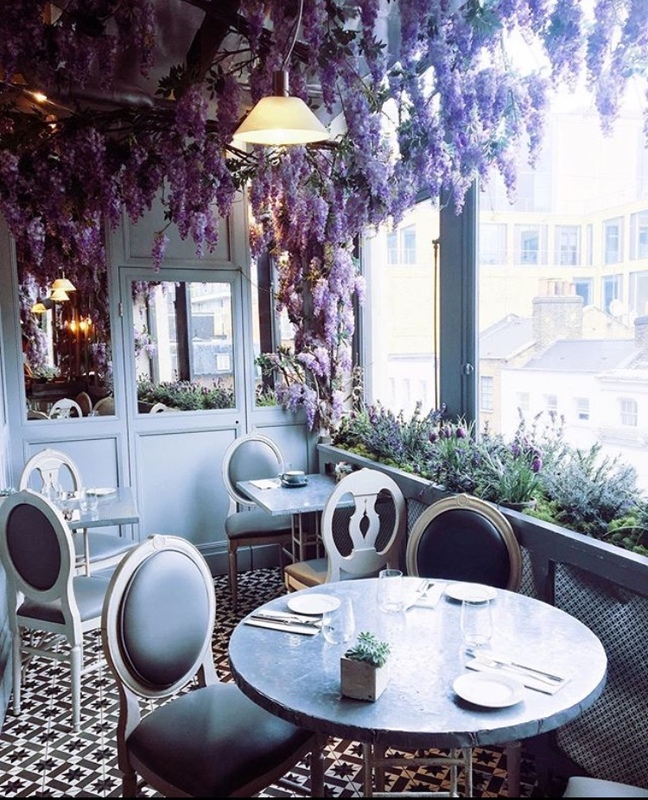 It is the third instalment of Richard Caring’s growing Ivy franchise – there are Ivy Restaurants in Marylebone, St John’s Wood and Blackheath. It is, however, the Ivy Chelsea Garden that attract every Instagram blogger. 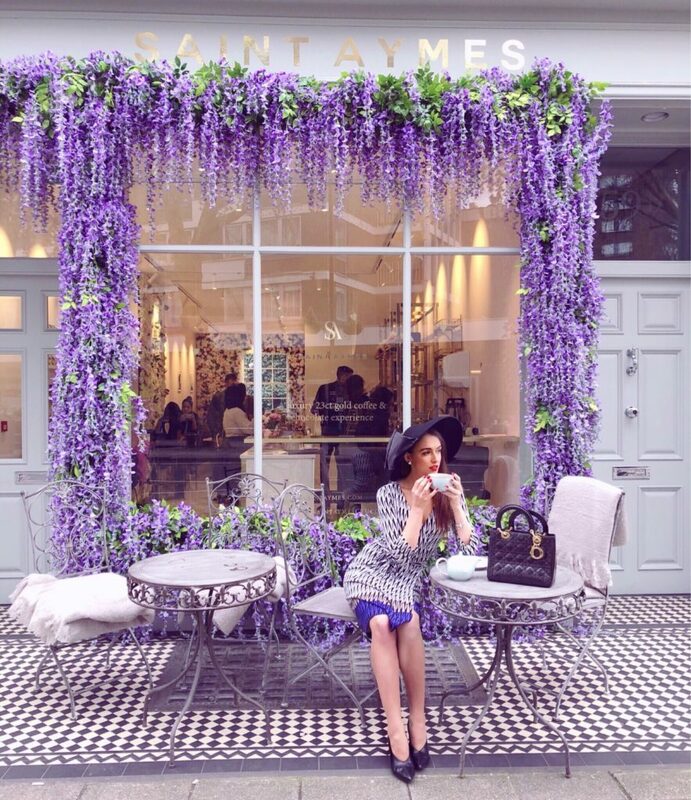 The window dressing of Chelsea’s Restaurant changes every season and looks just spectacular. The place is very spacious inside, and there is the lovely outside sitting area. Saint Aymes is a luxury chocolate brand that has just opened its first store. The boutique cafe opened in February 2018 and has really quicly become very popular. It is located in a very quiet area, a stone’s throw from Marble Arch tube station. 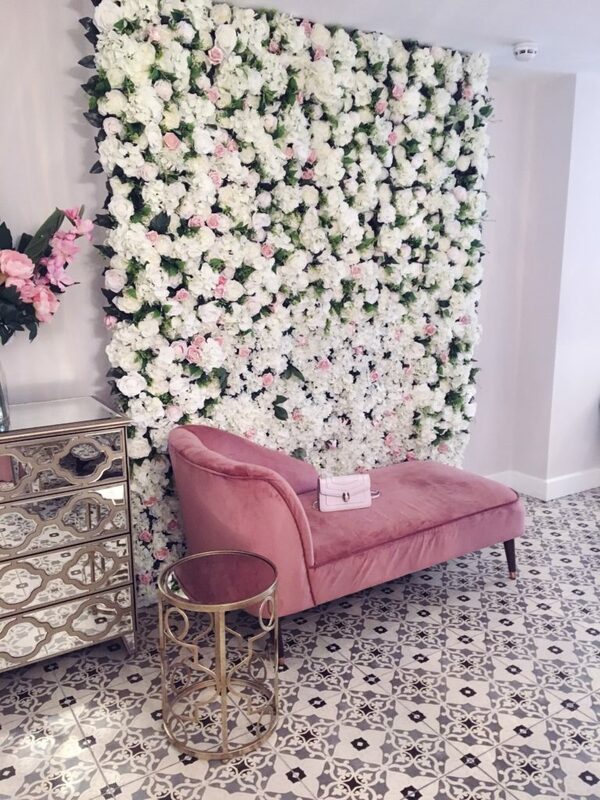 The space features walls lined with handmade flowers, set over two floors spanning 102 sq m. Most furniture witthin the cafe is available for sale, including the flowers. I have fallen for their extraordinary exterior – the window dressing covered in visteria is very impressive! It is still ‘quiet’ in compare to the rest of popular coffee shops, so put it on your must-go list before it gets overcrowded. Squirrel is my food paradise! Another of my must-see was found by an accident! I was on my way to the South Kensington tube station and I was passing by to buy some pastries at Maitre Choux. I spotted their menu and I must have seen some of my favorite ingredients, so I stepped inside. 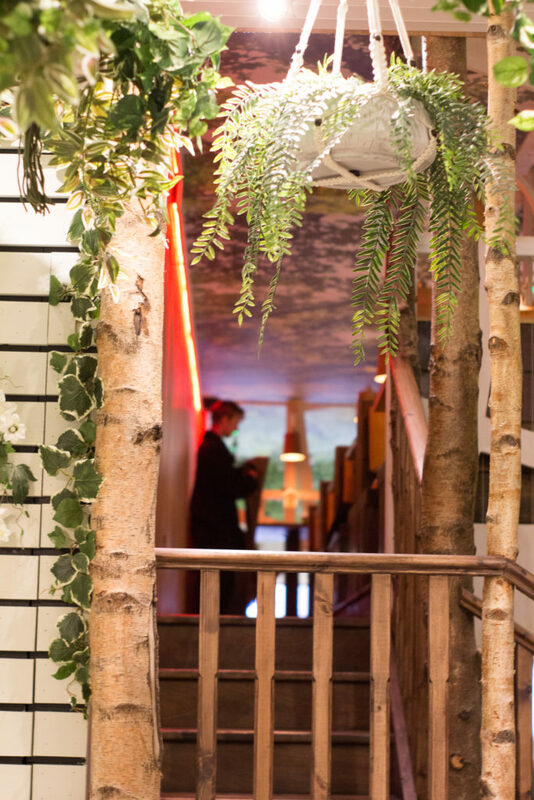 ‘Squirrel is an all day fast casual healthy food and drink concept set within such natural surroundings that even a squirrel would feel at home!’ You won’t notice from the outside, but this place makes you feel like you are in a country side! It is very spacious and does not get too crowded. A massive plus? Their salad and bowls are delicious! I really recommend to order a delicious ‘Kale Yeah’ salad from their Treehouse Favourites. What are your favorite places in London? Make sure to also check my Pink European Places post for even more inspiration. Hey; I had no idea that such gorgeous places exist! I just randomly scrolled to your site and I find it really beautiful. Keep going! Gorgeous. I live near London, yet have not actually been to any of those. So time to add those the bucket list. Fabulous pics! Your bag is amazing. This is easily one of the cutest cafe’s I’ve seen in the blogosphere. I’m putting this on my bucket list! Those flowers are sooo gorgeous. Thanks for sharing dear! 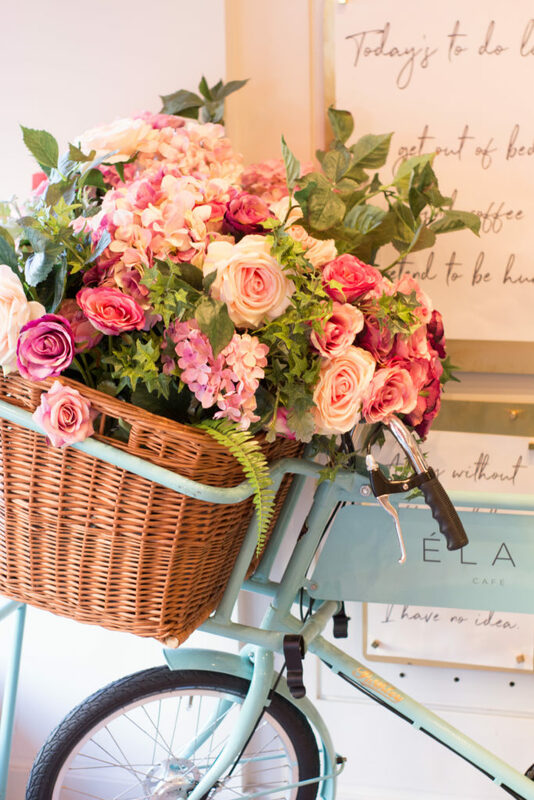 Thank you so much for putting together this article about the cutest floral cafés in London! I came across your post when researching for my new blog post on the most instagrammable places around the world. I will directly link to your blog post because I think it will help my readers too!